Does starting to build wealth younger help me build greater wealth? How much more? Should I allocate more funding to building wealth at the start of my career? What’s the impact? What if I cannot allocate so much to building wealth? What are my alternatives? Would taking on more jobs on the side help my situation? So I created a free calculator using Google Spreadsheet to help everyone who wants to figure these questions out. I covered extensively how this calculator is used in our look at the very simple way to become wealthy. 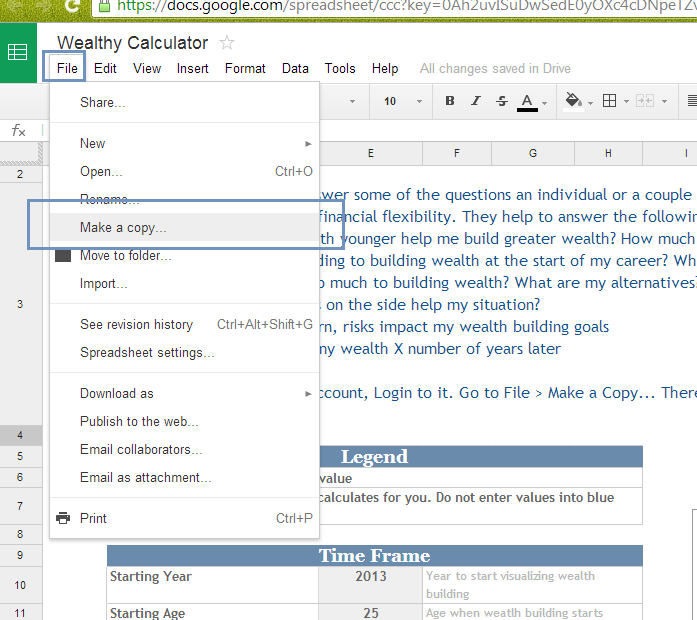 The calculator is in the form of a Google Spreadsheet, so you would need a Google Account (which is the same if you have Gmail, Google Docs, or an Android phone). If not, you would need to create an account over here. Once you have done that, you can make the calculator for yourself. 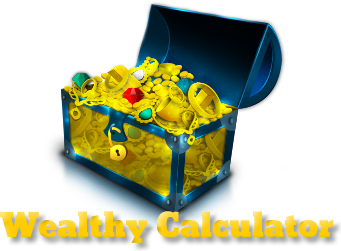 The Wealthy Calculator is shared here. Done! You can mess around with it. You don’t have to ask for a request to share it. Just make a copy will do! Throughout this calculator, remember: Enter the values in the grey cells. Don’t touch the light blue cells. The first group of data to enter is your time frame. We won’t know when do you want to start calculating but in Starting Year you can enter the year to start visualizing. As a guide, note that to the right of the cells there are instructions and examples to guide you. You will then enter your Starting Age (perhaps your current or next year’s age) and the number of Years to build wealth. Number of years to build wealth will be the number of years to your financial goal, or the number of years you want to simulate a particular sum at the end of the building period. Notice in the light blue cell, the Ending Age is auto-computed. In this section you specify your monthly income in the monthly component. As stated, this is the gross amount or before tax amount. In this case, this person is paid $5000 per month. The Additional Component, allows you to specify an annual amount that is on top of your monthly amount. Say this person have a 2 month bonus, and thus it adds up to $10,000. The Annual Gross Total is computed for you. The growth rate represents the growth of your salary over the period of time. This will vary from industry to industry, person to person. You may want to ask around or visit Glassdoor for an estimate. If not leave it at 3% based on the average country GDP growth. We are talking about disposable income here, so enter the tax rate which will be deducted from your salary. In this example, this person is taxed 20% of his salary. If you happen to received your salary tax free (wow!) then enter 0 here. What if you are calculating for a couple? You can aggregate up your combine monthly and annual component to do that. Some of the enterprising folks will have done free lancing or monetizing their hobbies or create a side gig. This is where you feed in for the side jobs. This is also a gauge for you to find out what happens when you take on something interesting and develop it. This is similar to the main salary so I will not explain much. 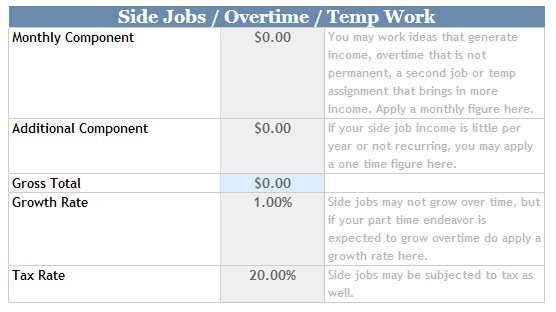 You can leave the Tax Rate at 0 if this side gig is not taxable. The combine growth rate is the growth rate taking into consideration your main salary and side job. It is auto computed. In this case, because you did not specify a side job, the combine growth rate is that of your main salary. This section is where you decide how much of your combine income (main salary + side job) will go into building your wealth. You may have already channel some funds into wealth building prior to this, and you can specify this in Initial Investment. First year wealth funding % refers to how much the person decides to allocate the first year salary to wealth building. This means that if his disposable income in the starting year is $20000 and you set this to 10%, he will fund $2000 for the rest of the years (1st year $2000, 2nd year $2000, 3rd year $2000….). Increment wealth funding as a % of main salary growth rate is a little bit complex. It means out of the combined income growth rate, how much % of it will be channel to wealth building. So in this case the combine income growth rate is 3% and if increment wealth funding is specified as 40%, it means 40% of this 3% annually will be going to wealth building. 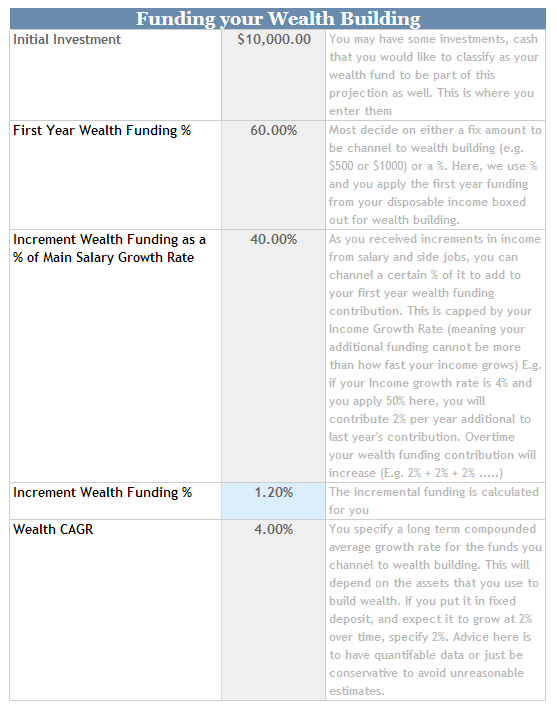 The Increment wealth funding % is auto computed in the next row. Why is there a first year wealth funding and a increment wealth funding???? The reason they are separated is because it allows you to find out what combination of wealth building you should adopt. Some people have a low initial salary and good increment, some people have an above average initial but doesn’t rise much. There are most who spend a lot initially on marriage, housing so they would rather allocate more of their increment to wealth building. Different people have different value system, and varying this 2 will let you visualize the result of different combination to let you decide which course of action to take. 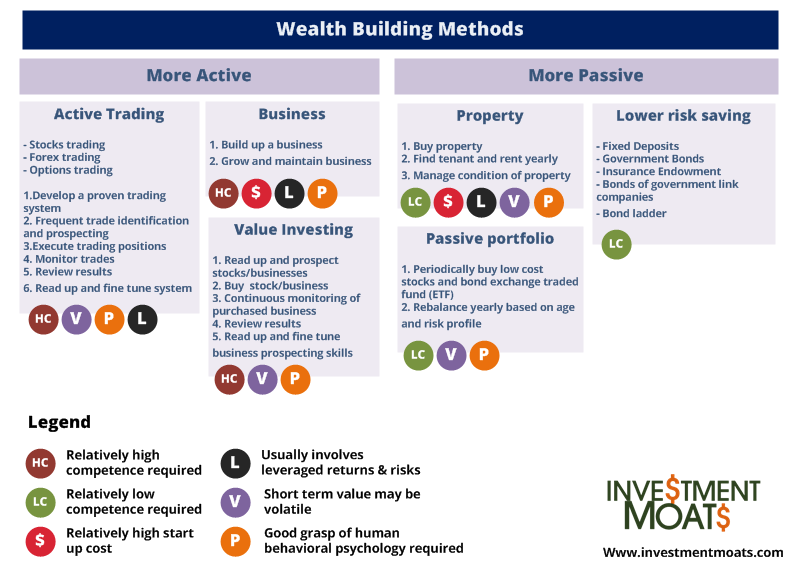 Different wealth building methods listed above have different projected growth rates. At Wealth CAGR, this is where you specify it. In this example, the person projects his equity and bond portfolio to average 4% throughout this 15 years. Varying this will let you see what kind of risk, returns you need to take to reach your financial goals. The result of providing all the information above is this. Total Wealth Funding after X years indicates how much money you have channel from your income to wealth building. Total Wealth Built after X years, shows the projected value after compounded growth. A table is provided below the summary to show more information. The running Year and Age are shown to the extreme right. 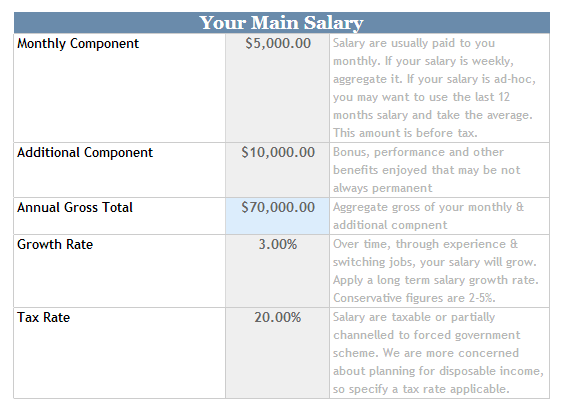 Your annual main salary, side job for each year are shown in each row, as well as the respective after tax income. Wealth Funding (1st Year) amount is computed using the after tax total income. Leftover for spending allocation is important for you to identify whether this annual sum is workable for you to live on. Wealth Funding as a % of Annual Total will tell you whether the overall funding for the year is more or less compared to previous years. I hope this is useful for you guys and gals to find out just how much you should channel to building a retirement fund. This spreadsheet is free, however should you want to contribute to my efforts in developing this tracker into something even better you can donate to me here! Else you may want to Like and Google Plus my site at the side panel! 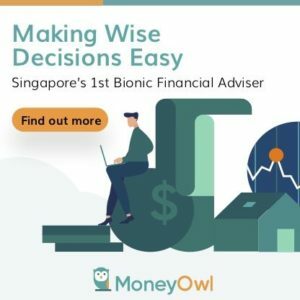 This is a great concept you put together, especially the concept of using different sources of income from investing in stocks and property to even consider doing a sideline. Ever thought of turning your concepts into a game? By the way, I’m differing about Property listed as Low Competence required, especially alongside lower risk and passive investing. Buying properties at the wrong cycle could be disastrous. Getting stuck in a poor property decision can set you back for years… just my two cents worth. It is something that most have said its ‘easy’. I ask a few people and they generally agree with me. Then again i realize almost everything is not easy. it is just that majority are more acquainted with how properties work and how fixed deposits work. This is relative to starting business, stocks investing and bond investing. Hi, thanks for sharing the spreadsheet. May I know what is the purpose of the column “Leftover for Spending Allocation” for? I understood the other columns but can’t figure out how to use “Leftover for Spending Allocation”. Added: “Wealth Funding (Yrly Total)” looks more like accumulated Wealth over the years more than Yearly total. Still can’t understand the column. Hmm…but why does “Wealth Funding (yrly total)” includes the sum of all the “Wealth Funding (increment)” over the years before subtracting from “Annual Total” for a particular year? Won’t it be double counting for the summing of “Wealth Funding (increment)” part? perhaps i can try to explain. your yearly funding total is make up of 2 portions: the 1st year funding and subsequent years funding. your subsequent years funding comes from a %of your yearly increment.s suppose your take home pay is 10,000 and your increment is 3%, you decide to take 50% of your increment to fund wealth building. so the 2nd year, you will fund 10k x 0.03 x 0.5 = 150 bucks. next year you get a 3% increment and you fund another 50% from this, you will fund another 153 bucks or somthing. but your last year’s 150 will still be alloted to wealth building. thus the increment adds up. I did another calculation based on saving year on year. Hi lewis a few notes here. your savings per year is different from mine. you are taking a X% uniform throughout the years. 20%, 30%. Mine is initial 20% follow by 1.5% of 3% increment every year. it gives more flexibility. Secondly your interest on savings is calculated based on amount that you save this year and last year. for mine is last year only since the default is end of the period calculation.